The next deadline for applications to the James River Arts & Cultural District Program is March 1, 2017. 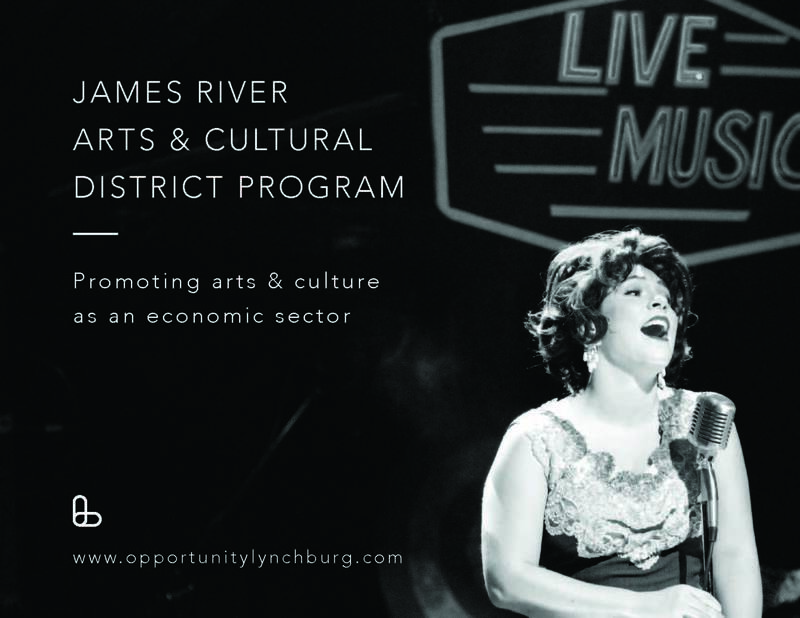 The CIty's Arts & Cultural District Program is intended to attract citizens, organizations and partnerships that wish to create and execute projects within the District to benefit the welfare of the citizens of Lynchburg. Projects may include events, activities, capital investments, promotions, improvements, or displays that serve to further arts and culture in the District. Projects that have been funded by the grant program for more than 2 years are not eligible to apply for funding again without significant program innovation or change. Organizations may submit no more than two applications per fiscal year. This does not include organizations that host events through facility rental agreements. Applications are due three times per fiscal year - August 1, December 1 and March 1. For full details and to download an application, click here.